Someone once said you can't go home again. I know I've sometimes broken my own heart by visiting a special place...only to discover that it isn't so special anymore. Happily, there are exceptions to the rule. And one of those is Pottawatomie Lighthouse, in Rock Island State Park. Welcome to the oldest light station on Lake Michigan. 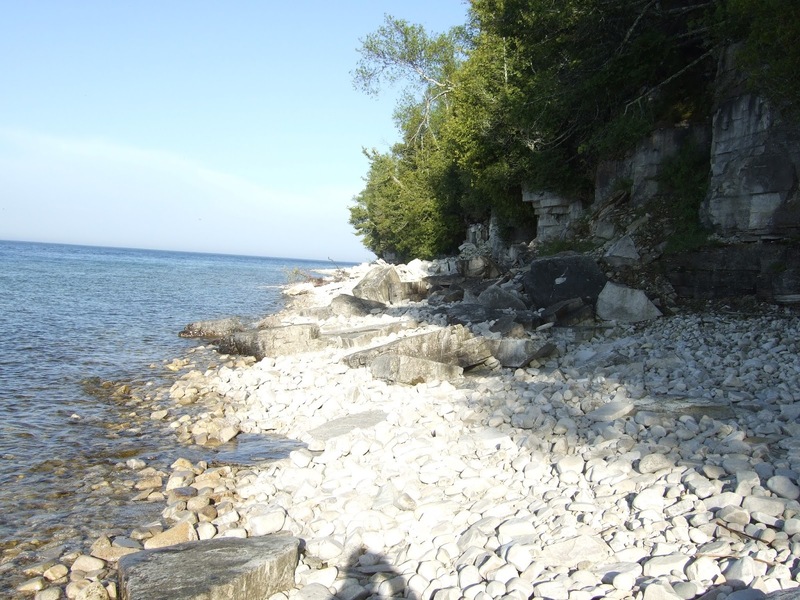 The island is located off the tip of Wisconsin's Door County peninsula, in Lake Michigan. Reaching the lighthouse requires two ferries and a mile walk, so you have to want to get there. 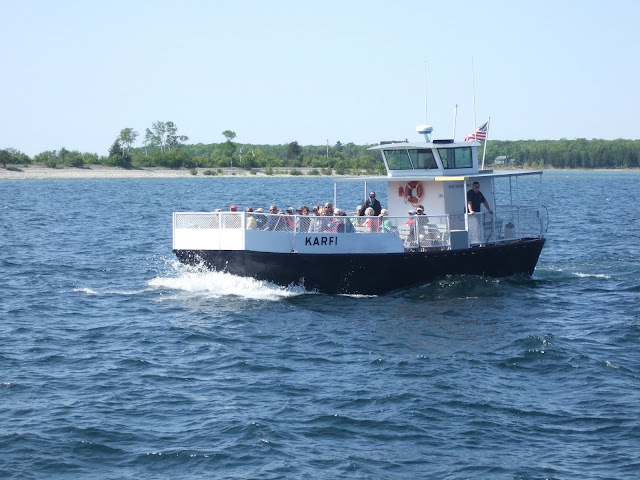 After taking a car ferry to Washington Island, a passenger ferry will take you to Rock Island. A few years ago I was hired as a consultant by the Rock Island Support Circle (RISC), a support group which had taken on the overwhelming task of restoring the abandoned lighthouse. I got to stay in the lighthouse, which was---for the most part---an awesome experience. 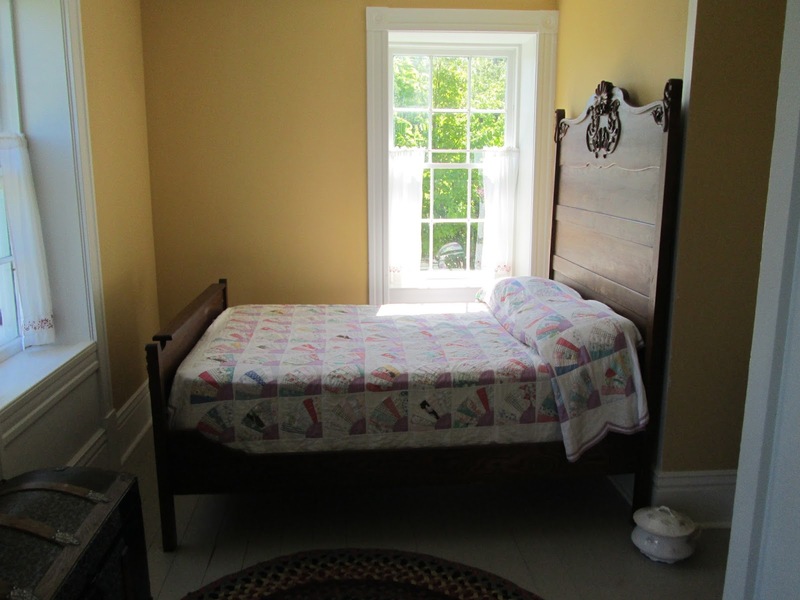 I stayed in the Master Keeper's bedroom. Here it is, all restored! Things did get a bit complicated when I found a dead body on the shore. I didn't think it had anything to do with me or my work...until it became clear that the killer wanted me off the island. The evening I arrived I found a body here, on the beach below the lighthouse. It was a terrifying experience to be sure. But I survived, more determined than ever to complete my furnishings plan, and help RISC restore the lighthouse and open it for guided tours. This summer I had a chance to visit, and see how the project turned out. There are so many ways a project like this can go wrong that I was a bit fearful. All I can say is this: the restoration is magnificent. The lighthouse is restored to its 1912 appearance. 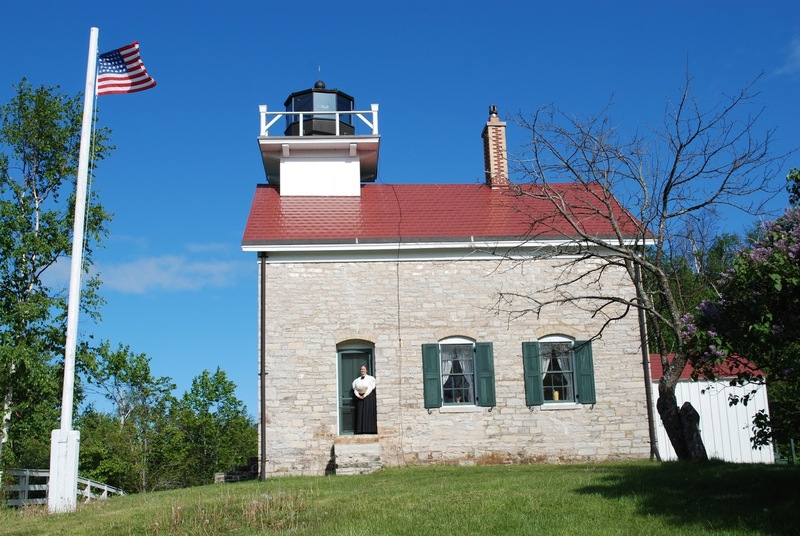 If you're ever in northeast Wisconsin, I hope you take time to visit Pottawatomie Lighthouse. Listen to stories about some of the early keepers. For many years, every drop of water needed at the lighthouse was carried 154 steps up from the lake. Get a glimpse of what lighthouse service was like from 1836 - 1946. 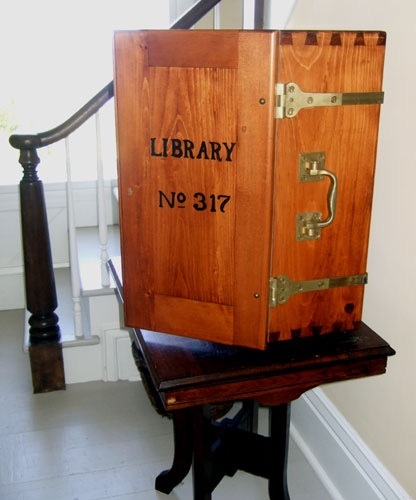 The best thing to arrive on supply boats was a new library trunk! Docents will guide you through the building. Climb to the light room. The view makes the climb worthwhile! And allow enough time to explore Rock Island. There are no roads on the island, just foot trails. 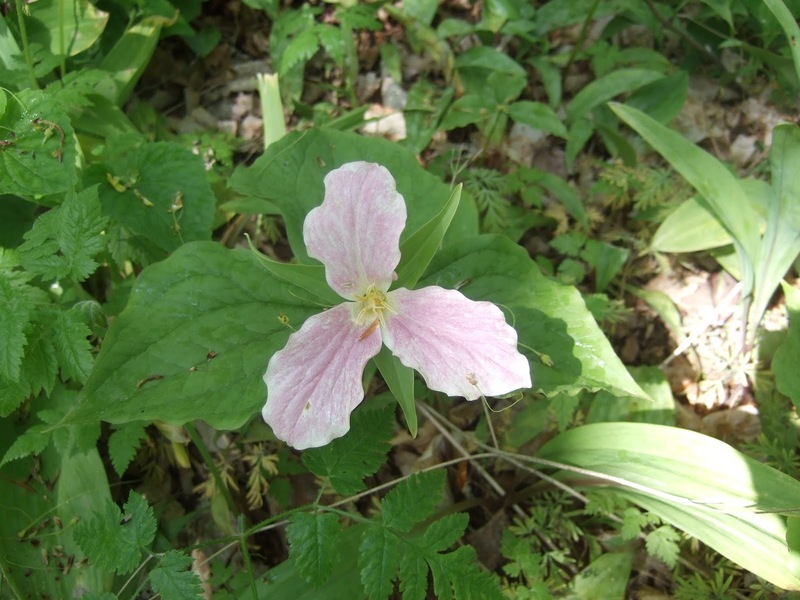 Trillium---one of many wildflowers on the island. 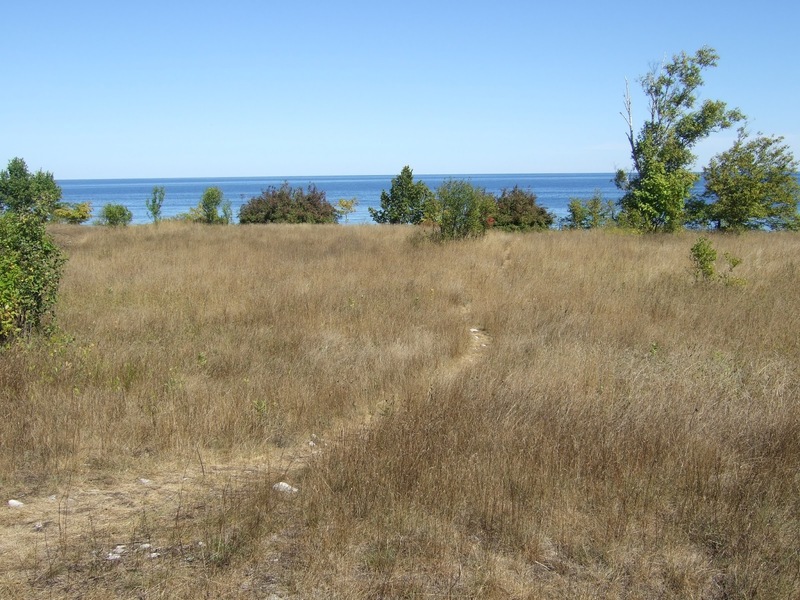 Wander through this meadow and imagine the lively village of fishermen and their families once found here. Have you ever visited a lighthouse? Do you find them as compelling as I do? Please share your thoughts and travel tips! 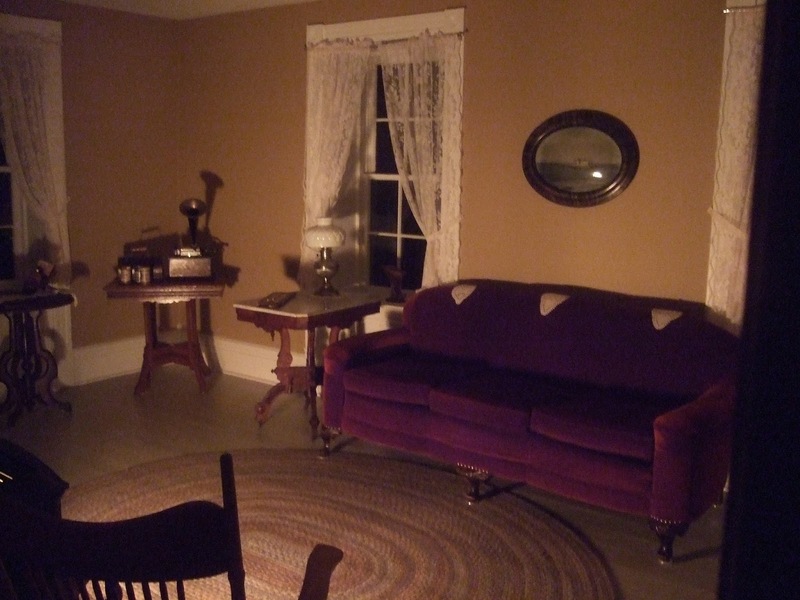 Author Kathleen Ernst has had the privilege of serving as a live-in docent at Pottawatomie Lighthouse for the past eight years. The Light Keeper's Legacy, the third volume in the Chloe Ellefson series, won the Lovey Award for Best Traditional Mystery at Love Is Murder. GIVEAWAY! Leave a comment below by midnight on June 19th for a chance to win a copy of The Light Keeper's Legacy. Please include your email (such as reader -at- reader.com). Good luck! To learn more about the Chloe Ellefson series, please visit Kathleen's website. I'd love to visit a lighthouse and the book sounds like one way to do it! Thanks for the chance! I've never visited a lighthouse but I would love to read this book—thanks for the chance to win a copy! Yes! Michigan still has so many lighthouses. Their history and dedication of their workers are wonderful stories. Thank you. 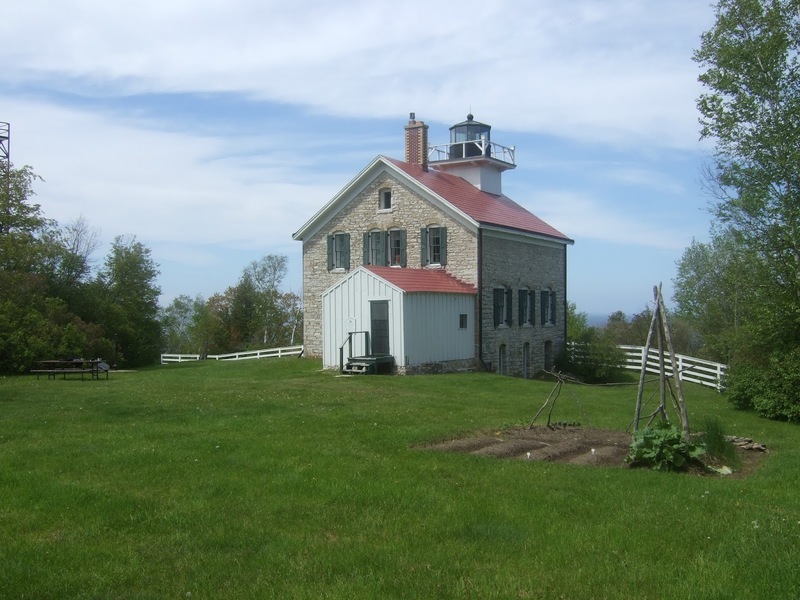 I grew up in Maryland, never realizing what fascinating lighthouse history remains all around the great lakes. So many stories! I grew up in Duluth MN listening to the fog horn from the Splitrock Lighthouse. Lighthouses are so fascinating. I've never toured Splitrock, I'm sorry to say. It's on my list. And...there's nothing like the found of a foghorn, is there? I haven't visited any lighthouses in Florida. Maybe one day! I've been to a couple of lighthouses over the years. Each one has unique stories, which makes for fun tours. Good luck! The pictures make me want to travel up to Lake Superior and go to Splitrock Lighthouse again. I so love the sound of the waves crashing on the rocks on the North Shore. I haven't toured Splitrock, but I love Lake Superior. Years ago my husband and I circled the lake. Very special. Mary Louise, having grown up in Maryland, I must confess that the Great Lakes history came as a revelation when I moved to the Midwest! Different, but equally fascinating. What marvelous pictures. I want to go there, although I'm not quite sure about the mile walk. Thanks for the giveaway. So glad you enjoyed the photos! It's a beautiful place. We feel privileged to get to spend time there. Awesome pictures! I've visited the light house on Tybee Island and St. Simons Island, Georgia. Don't know if I could climb the steps now, but the view is worth it! Judy, I'm definitely slowing down on the stairs to the tower myself. But it is indeed worth the climb. Daniele, I have to look up Tybee. I'm not familiar with that one. Celia, so glad you enjoyed the post! It is hard for us to imagine what life was like back then, isolated on an island with a lighthouse. Libby, I think about that a lot. It's beautiful, but they must have felt the isolation, especially during period of just one family--or even just one man--at the station. Each is unique, with unique stories. Hope you can visit one! I have always wanted to visit a lighthouse. I imagine being in the dark, unsure of my surroundings and wondering if I will find direction, and then, the beacon of light there to guide me to safety. Oh, what relief and assurance! Thanks for a great post and giveaway. My pleasure, Connie. I've often wondered if part of the fascination so many people feel for lighthouses is the symbolism of a light in the darkness, but literal and figurative. Donamae, I do hope you can plan a trip! In addition to the lighthouse there's a gorgeous Icelandic-style boathouse to explore, and lots of trails. I would love to win this book. I have seen lots and lots of lighthouses but I haven't been to Wisconsin yet. Gayle, good luck! And I do hope you make it to Wisconsin--it's a beautiful state. I love lighthouses and the photos you shared are great. Would love to win this book. I have never been in a lighthouse. I don't do well with small spaces. The tower would not be for you, then! But it's still a gorgeous spot to visit. Thx for writing 1 of my fave topics in mysteries. I am a fan of lighthouses,need to put wisconsin on the list to visit. Your chloe series is going on my list this year to read! Please consider me for the free copy in your giveaway. I am going to let others i kno about your books! Nina, thanks so much. Word of mouth is the best gift you can give a writer. :>) And do come visit Wisconsin if you can! Linda May, I'm sure you've seen more than I have then! Each has it's own stories...would love to do a tour like that one day. I love lighthouses. 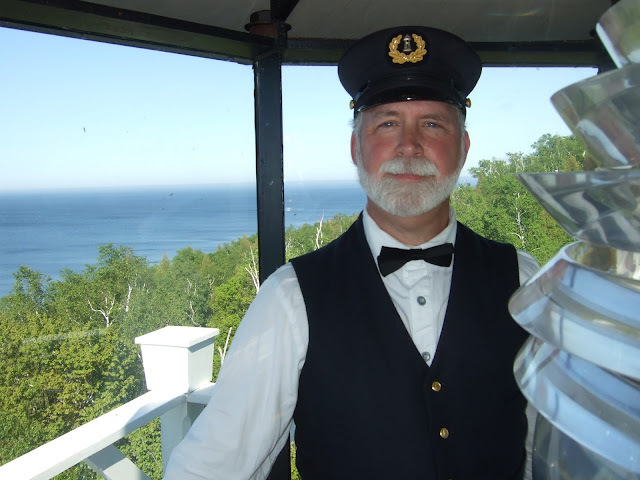 I'm originally from Michigan and have seen many lighthouses along Lake Michigan and Lake Superior. I have toured the lighthouse at Whitefish Point in Michigan and it was really interesting to see how the light keeper and his family used to live. Looking forward to reading more about lighthouses in your book. Definitely adding to my TBR list. Thanks, Dianne! I hope you enjoy. 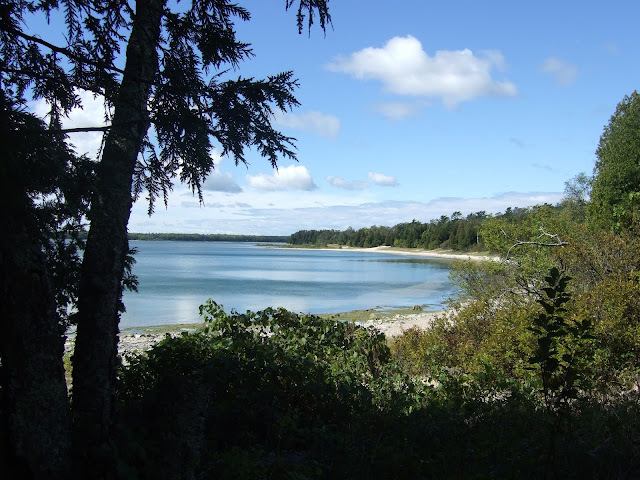 I've lived in Maine for 31 years and am writing a book about the Native Americans in southern Maine (Almouchiquois, Aucocisco, Pequawket, etc.). I'd love to have a copy of your book! My email address is studebaker11@maine.rr.com. What a fascinating topic you're working on. I love lighthouses-I can't always get to the top, but I'd love to stay overnight in one if I could. Stephanie, we've stayed in two lighthouses in the UP that have been turned into B&Bs. I enjoyed the pictures and the blog. Thanks so much for the giveaway. I didn't realize how long Ernst has been involved with that lighthouse. Love the great pics and stories she tells. Thanks for the chance to win! Good luck! So glad you enjoy the stories. There is something mysterious about lighthouses, even without a body. Yes here in Northern California we have Point Pinos which is the only Northern coast lighthouse run by a woman at one time. It is beauitfully restored to its full glory. Also Pigeon Point near Davenport is a amazing place, right on the cliffs and you can spend the night. It's thrilling to be in the originally restored rooms and to see the light. These two are near me so I go often. I love these books because I adore everything about Lighthouses. Thank you for the chance to win. Lexie, I haven't had the chance to visit any lighthouses on the west coast--will try to get to those two one day! Glad you enjoyed the post, Doward. I hope you enjoy meeting Chloe. Last year I saw a New England lighthouse, but my favorites are still in Wisconsin. Debbie, my mom grew up near Absecon, NJ. One day I'd love to write a book set on the Jersey shore. Ooh, sounds fascinating! Supposedly Pottawatomie lighthouse is haunted, but we've spent over two months total living there, and never seen or heard a thing. Thank you for this opportunity to win you book. I love lighthouses. They are mysterious romantic and gives hope to everyone. Yvonne, I think you caught it--they are symbols of hope for everyone. Great pics and story. Love lighthouse and their stories whether fictional or real. Always wanted to be an lighthouse keeper. RuthAnn and I visited lighthouses everywhere we went that had one. There are many along the Washington - Oregon coast. I got a book of all the lighthouses and mean to visit all of them. I would love to see this one, but the mile walk might be prohibitive. I really enjoy the Chloe books. Pam, I'm so glad you enjoy the Chloe books. I've got lots more photos on my website so readers can do some armchair travel. What a great post. I love the pictures that go with it. My friend Denise told me about this series, and I'm working through it! Thanks for the chance at a book. Laura, I'm glad you enjoyed the post and photos! Since I write about real places, it's nice to let readers visit the sites vicariously. I've only visited the Oregon coast once, and love it--I hope to get back one day. Robin, I've driven through your area many times, but haven't had a chance to linger. Next time I'll try to leave some extra time! Hi! I've been to Hooper Strait lighthouse in St Michaels, Md. It's on a mile wide strait that connects to the Chesapeake bay. Capt. John Smith named the strait and there used to be lots of pirates on one of the islands. I live near Annapolis. So pretty here. Thanks for the chance and look forward to reading your books! Joan, I grew up in Maryland and so have a special place in my heart for the Bay and the eastern shore. I haven't visited Hooper Strait, though! I'll put it on my list. I would love to tour a lighthouse, the hold so many memories! I'd close my eyes and just welcome the chance to see one. I think there is something so spiritual about guiding life to shore, these keepers were truly unsung heroes! I absolutely agree. I think of the Keepers at Pottawatomie before the phone line went in--if they saw a vessel in distress, they couldn't even call for help, and they were the only people living on Rock Island for part of that era. I love the North Shore, but somehow have not yet visited Splitrock! It's high on my list. Rosemary, we obviously have a lot in common! I love the UP. My pleasure, Susan! Good luck. Donamae, so glad you enjoyed the Laura book! I hope you enjoy this one just as much. 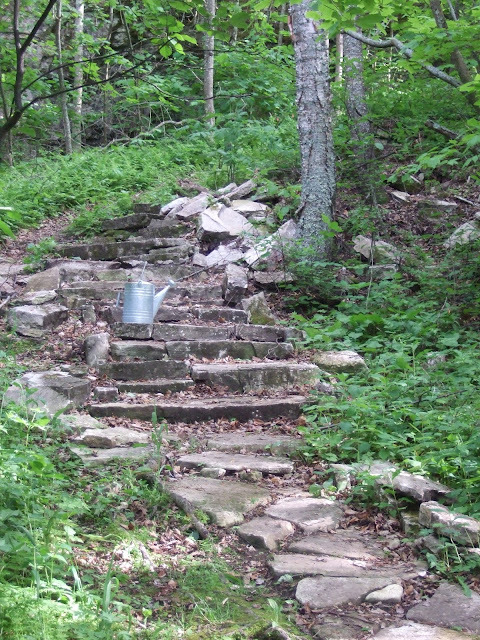 It is a,dream of mine to someday visit Wisconsin and all the places you have made come alive for me in your books. Merry Lu, you just made my day! One of my goals for the series was to introduce these wonderful places to readers. I try to provide lots of resources for armchair travel on my website, but nothing beats visiting in person. Hope you can visit one day! I've always wanted to visit a lighthouse. Thanks for the giveaway! My pleasure, Julie! Good luck. I would love to visit the lighthouse in your book, reading the book will make me feel like I have. 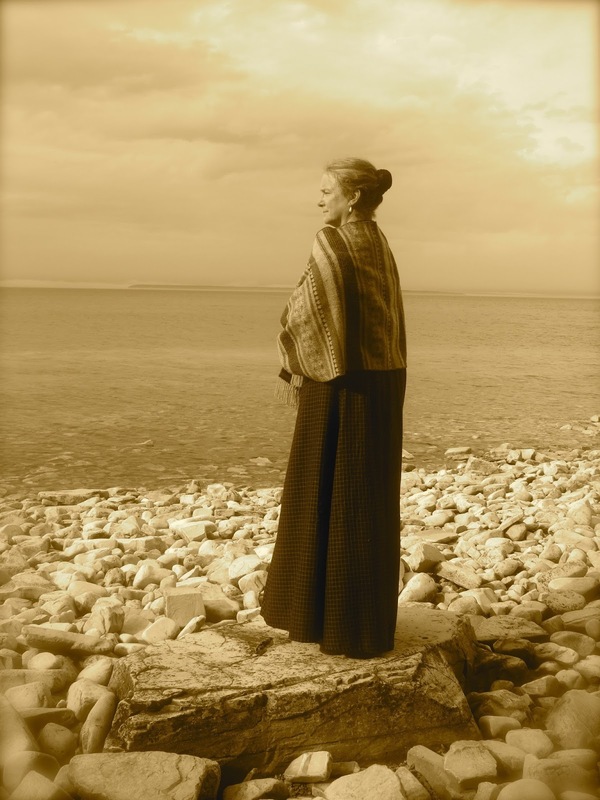 Hi Dianne - I hope The Light Keeper's Legacy will let you visit in your mind's eye. And I have lots more photos on my website. Books can take us anywhere! Love your "mind candy" line. So much fun and no calories! I was fascinated when I found out about light houses on the Great Lakes when I drove to Madison for WISCON with my daughter several years ago, along with being surprised at how huge the Great Lakes really are! I also adore travelling by book! I am not native to the Midwest, so like you, experiencing the Great Lakes for the first time was memorable. My husband and I drove around Lake Superior once, and the Canada section is quite remote! I love lighthouses! I don't know if I have ever actually been in one, though. We visited Door County and they had some pictures of one of the lighthouses there all covered in ice after a bad winter storm. Wow! I would love to win the book. You could spend a week just visiting the lighthouses in Door County! Good luck. Congratulations to Doward Wilson, winner of a personalized copy of The Light Keeper's Legacy. Thanks to everyone who left a comment!